Francona: Is this a surprise to anyone? 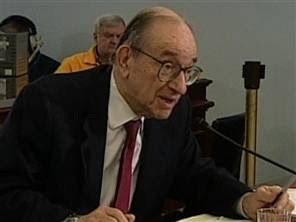 Why are former Federal Reserve Chairman Alan Greenspan’s comments that the Iraq war is “largely about oil” raising eyebrows? Of course the war is about oil – much of our involvement in the Middle East is about oil, while the rest is about Israel and Iraq has posed a threat to both. That said, let’s define “about oil”: It is not about seizing Iraq’s oilfields. If that was the case, we should have seized Saudi Arabia’s and Kuwait’s oilfields while we had over half a million troops there in 1991. We could have stayed in oil-rich southern Iraq as well. That was not the policy then, and it is not the policy now. But, what is the policy? We are still following one first enunciated by then-President Jimmy Carter at his State of the Union Address in 1980, now known as the Carter Doctrine. The free flow of Persian Gulf oil is a vital interest of the United States and will be protected by military force if necessary. Granted, when he made his remarks, he was referring to the threat from the Soviet Union, but the policy remains. That free flow of oil is essential to the global economy, and shows no signs of changing. In fact it will become more critical as developing nations such as China and India require more energy for their huge populations. It is estimated that 25 percent of the world’s oil consumption moves through the Straits of Hormuz, at the south end of the Persian Gulf, every day. Iran has expended a large amount of resources developing the military means of closing the Straits. The U.S. Navy has spent a lot of time planning how they will keep that same passage open. Although the United States imports less than 20 percent of our oil from the Persian Gulf, that is not the issue. Oil is a fungible commodity – it does not matter where it is produced, what matters is how much is available on the world market each day. If 25 percent of the world’s oil flow is disrupted, where are the nations who rely heavily or solely on Persian Gulf oil going to buy it? They’re going to buy it from the countries that produce the 80 percent we don’t get from the Persian Gulf. Prices will skyrocket. The 1980-1988 Iran-Iraq war was the first test of the Carter Doctrine. In 1987, the Defense Intelligence Agency assessed that former U.S. ally Iran would emerge victorious over Iraq within a year. That victory would give Iran control over huge oil resources, Iran has the second and Iraq the third largest conventional oil reserves, and would likely cause turmoil in the world oil markets. The United States sided with Saddam Hussein and provided the intelligence support to his military that prevented an Iranian victory. Just a few years later when Saddam Hussein’s army invaded, occupied and even annexed Kuwait in 1990, the initial American reaction was to defend the key supplier of oil in the region – Saudi Arabia. Our deployment to Saudi Arabia, Operation Desert Shield, was to defend the kingdom from a possible Iraqi invasion. We were not defending the Saudi royal family, we were defending the world’s largest producer of oil and venue of the world’s largest proven oil reserves. By 2002, it was apparent that much of the world had lost its appetite for continuing sanctions against Iraq. Once sanctions were lifted, Saddam Hussein would be free to resurrect his missile and weapons of mass destruction programs. Washington decision makers believed this potential development would pose a threat to America’s two key interests: oil and Israel. The war was not about the weapons of mass destruction, it was about the threat the weapons posed to the flow of oil from the Gulf. As Chairman Greenspan says, it’s about the oil.